In our Yelp-ified Top 10 list society, Emily Keeton is convinced diners are still hungry for restaurant information. That’s why she has led Flavour, a restaurant-finding app founded last year that aims to cut through the foodie clutter and present users with a more curated list of eateries. And today, Tasting Table, a New York-based digital media company focused on food and drink, announced it has purchased the app for an undisclosed sum. “People are obsessed with what they eat,” says Emily Keeton, Flavour’s founder. The app contains collections like recommendations for VegOut Week—designed to encourage vegetarian eating—or one entitled “Robert Del Grande’s Favorite Healthy Places,” a list of suggestions from the James Beard-award winner and Houston restaurateur. So far, Flavour is in eight cities—Austin, Chicago, Houston, Los Angeles, Miami, New York, San Francisco, and Washington, DC. 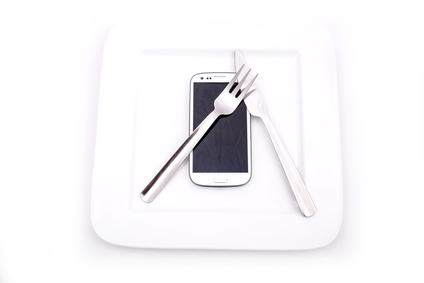 Diners can search by city, by “collection”—what’s new or what’s hot—or by dish. Users of the app can archive their personal favorites in a tab called “my collection,” which can be shared with other Flavour users. From the app, a user can get a restaurant’s contact information and even make reservations through a connection with OpenTable, a reservations app. In its founding year, Flavour brought with it heavyweight backing: Aspect Ventures and Scripps Networks, the owner of the Food Network and the Cooking Channel, where Keeton used to work. Prior to that, she was a media and entertainment investment banker in New York. The app—and Keeton—are based in New York, but she is frequently in Houston, where she borrows a desk at the locally based venture capital firm, the Mercury Fund. Houston is also her hometown, though when she grew up, Houston featured a decidedly binary cuisine: steak/barbecue and Tex-Mex. However, in recent years, Houston has risen in the food world with a crop of haute cuisine restaurants and James Beard award-winning chefs. That’s meant restaurant and food apps such as Yelp, Zagat, and Eater have established outposts dedicated to the Houston culinary scene.